At the very heart of Yorkshire Laser’s manufacturing capability rests a suite of high-tech and revolutionary design software options. These functions are managed and staffed by a professional and enthusiastic team of CAD engineers. 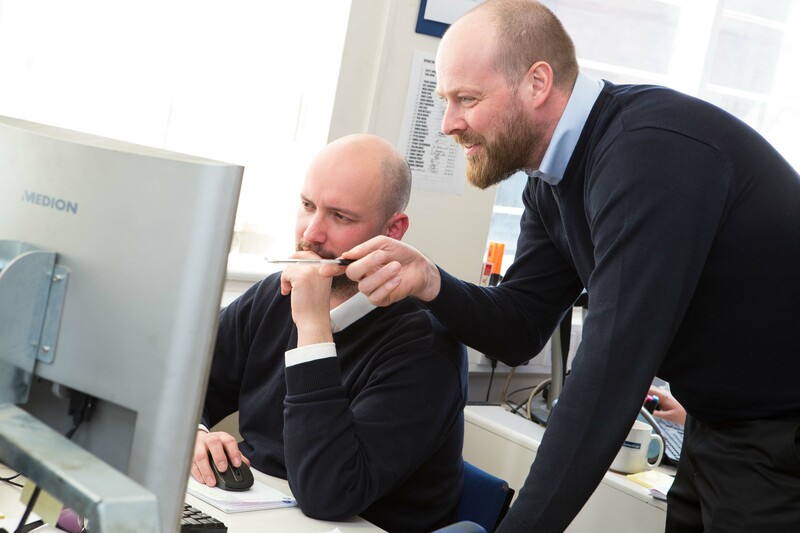 Together, we have over 24 years’ worth of experience in CAD/CAM design development, sheet metal design and manufacture. So we think we’re ideally placed to deliver the designs you need, perfectly, every single time. As the acronym suggests, CAD is the process connected to the actual design stage of your desired part. This involves creating detailed engineering-level drawings of how you expect the part to look and how it should be constructed. This will include details such a dimensions, materials, fasteners, revision levels and anything else of relevance in terms of the item’s manufacture. Of course, some form of CAD/CAM design and development related software is required for this. We use SOLIDWORKS as our CAD software of choice. This is universally recognised as the industry standard manufacturing design software. It is available in three different packages that are scalable to meet certain business requirements with inbuilt functionality options. Each bundle offers the same level of intuitiveness, making them easy to use on the typical Microsoft Windows interface. Award winning tool easy to use with Microsoft Windows. CAM software is something we use to actually drive the CNC machine and create your desired part. This software takes your files from SOLIDWORKS and turns them into sheet metal parts; applying the correct shrinkages and creating the appropriate programmes needed to profile and press them into shape. Here at Yorkshire Laser we also use software and equipment provided by two of the market’s major players – Bystronic (Swiss) and Amada (Japanese). There is also Bysoft, Bybend, AP100, Product Designer, Dr Abe Blank and Dr Abe Bend to name just some of the packages that are utilised in the production of customers parts. Finally, Yorkshire Laser also makes use of a comprehensive MRP (Material Requirements Planning) software package. This software is used to control everything from estimates and quotes, all the way through to material stocks, delivery notes and invoices. Much time and effort has been spent refining the scheduling side of Yorkshire Laser’s MRP software so that we can now accurately quote a lead time at the point of order. We then stick to this date with well over 90% accuracy – a statistic that proves your products will be with you just when you need them most! 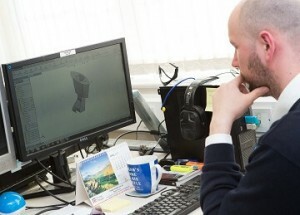 Our CAD/CAM design development service is reliable, pioneering, creative, cost-effective and tailored to provide a personal service. “Yorkshire Laser & Fabrication have helped my business with non-stop co-operation from prototype to production.” – Marcus Sheehan (managing director of a gaming equipment company).